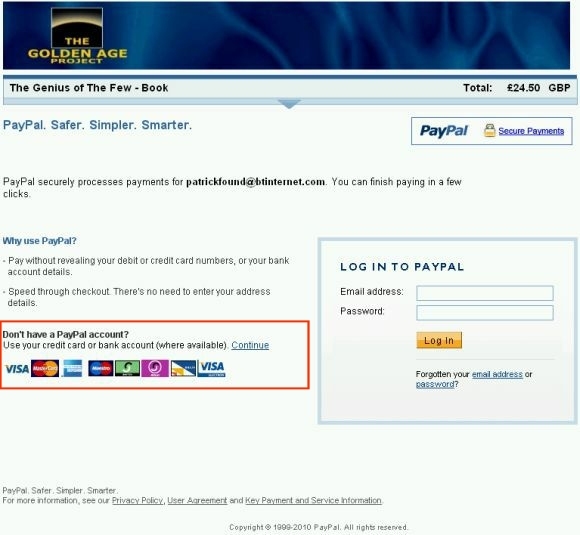 We use Paypal as our payment gateway because they offer the easiest checkout method. So you are able to pay using most major credit cards or bank transfer. After clicking the BUY NOW button you will see a page like the one below, half way down the page you will you see the credit / debit card section if you do not have a paypal account click the word continue you will not be asked to register.